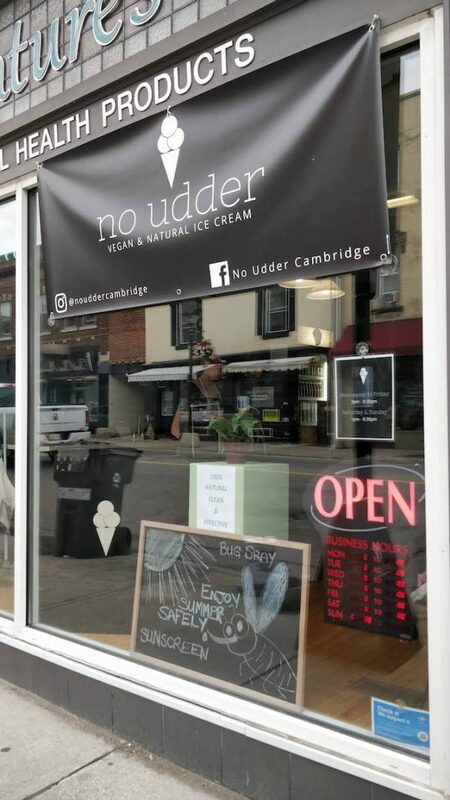 Cambridge, Ontario – No Udder Vegan Ice Cream – vegan in your city. We visited Cambridge and Guelph last month and it was a lovely little drive and visit – I’m not sure how we ended up at No Udder in Cambridge, but I’m glad we did. 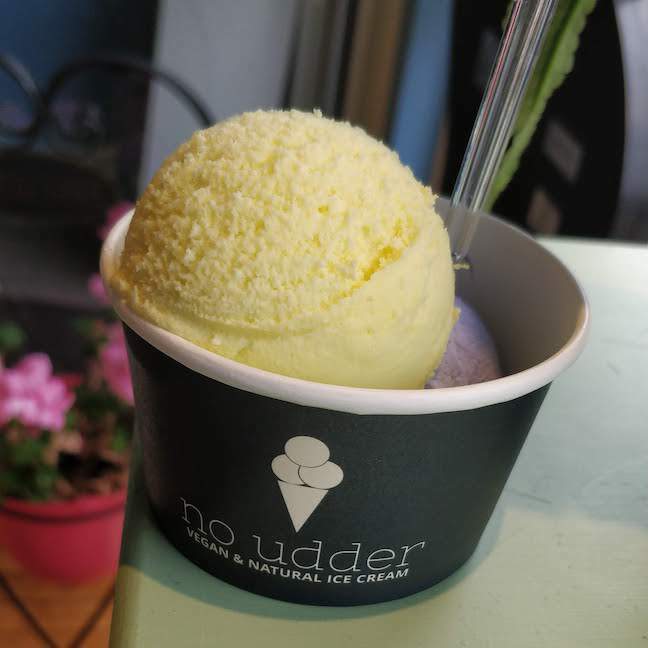 No Udder has been open since the beginning of June, and is a dairy-ice ice cream parlour with nut-free and gluten-free options. They’re in the front space of Nature’s Vibe, a health food and alternative health type space – but follow different hours. There was a nice variety of flavours, and the very friendly folks inside offered samples of all of them without hesitation. The three of us sampled a little of everything, but when I saw lemon and lavender on the list, I knew I’d be getting them – sample or no sample. The lemon had the most perfect flecks of lemon zest – it was the real deal in every way. They take cash, credit cards, and debit. ice cream, vegan ice cream. Bookmark.